Join Good Chemistry and COLLAB.DEN to celebrate fashion, photography and philanthropy. 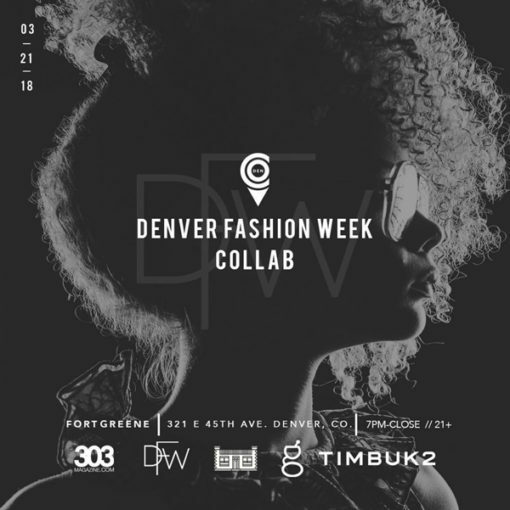 Come to Fort Greene on March 21st to kick-off Denver Fashion Week by supporting local Denver artists and The Burnes Center on Poverty and Homelessness. Emerging Denver artists will display their work around Fort Greene while DJs mix tracks and amplify the event. All prints will be on sale for $15 each and proceeds will be donated to The Burnes Center. Learn more about the Burnes Center on Poverty and Homelessness HERE. In addition, Good Chemistry Loyalty Members will receive a promo code for 10% off all Denver Fashion Week tickets via email or text. Ten percent of your ticket purchase will also be donated to The Burnes Center. Join Good Chemistry’s Member Benefits at any of our Good Chemistry locations to receive your code.